Combat diploma mills and empower program graduates with verifiable digital credentials. 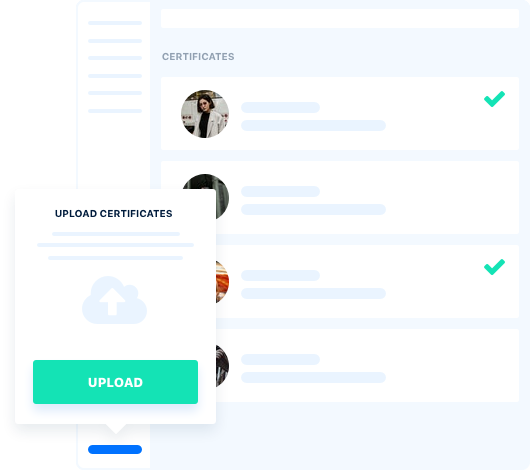 The Issuer Portal contains tools and simple tutorials for certificate design, upload, issuance, and verification, as well as interfaces enabling issuers to verify or request information from other users on the network. 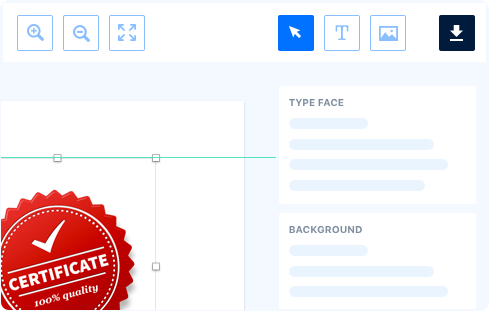 Aversafe provides issuers with a dynamic certificate design kit featuring a library of customizable templates with intuitive drag and drop controls. Securely upload information about current and historic program graduates to enable rapid certificate matching and hassle free re-verification. Efficiently distribute large numbers of certificates to current and historic program graduates. Manually issue digital certificates to individuals or groups of recipients with the click of a button. Verify the authenticity of graduates’ certificates and claims to give them a leg up in the competitive international job market. Edit or revoke certificates that have been erroneously awarded or misattributed at any time. Empower program graduates with verifiable digital certificates. How can we address historic claims and certificates? How can we integrate Aversafe into our existing Registrar processes? How does Aversafe protect uploaded student data from breaches or abuse? How can we issue certificates at scale? Aversafe allows you to upload alumni information and historic certificates through the issuer’s portal. This allows you to reissue, verify or revoke historic documents in precisely the same way you would handle current certificates. You can also allow alumni to supply Aversafe with designated personal information, such as a date of birth or SSN, to be automatically matched with their reissued digital certificates. Aversafe makes onboarding as simple as possible. It takes only minutes to prepare and upload all of the data required to issue certificates to any number of program graduates. We also provide on-site training and installation options to help integrate Aversafe into your existing software suite while adapting our services to your unique institutional needs. All data uploaded by certificate issuers to allow for automatic matching is encrypted with a unique private key that ensures that no one, including Aversafe, has access to your students’ data besides you and your students. Additionally, all data exchanged on the Aversafe Network is stored and held on users’ own personal devices and can be shared only with their express consent. Aversafe provides certificate matching services that require zero-touch at the administrative level. This allows issuers to provide certificates to all program graduates even if they’re not current Aversafe users. Graduates only need to establish their identity by providing select pre-arranged details to be matched with and receive their certificates.